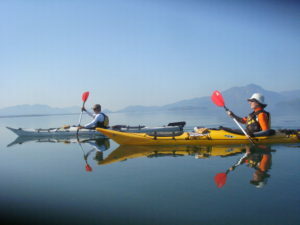 Activity Holidays in Turkey. Hiking, Sightseeing, Culture & much more. Hello & Welcome to our website. We are a family business that started out in 2006. 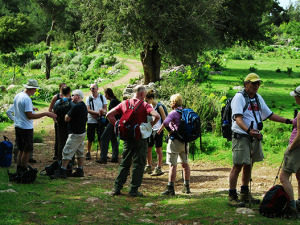 Back then we only offered hiking holidays on The Lycian Way. 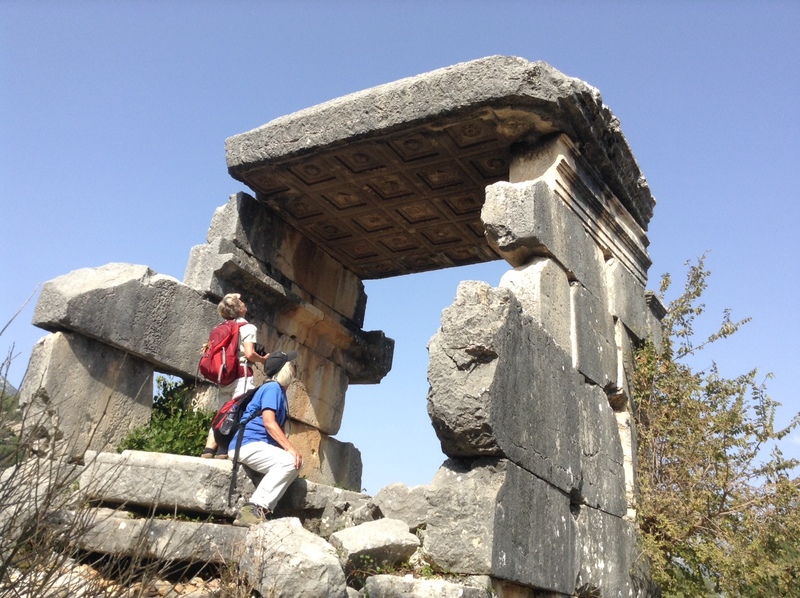 If you are interested to find out more about The Lycian Way, here is a link Lycian Way Information. 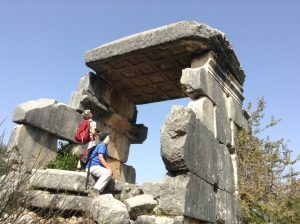 Here is another link to our most popular Lycian Way holiday. We now offer a wide range of holidays covering different regions in Turkey. These include Istanbul, Cappadocia, Black Sea Region, The Turkish Mediterranean and Aegean Coast. 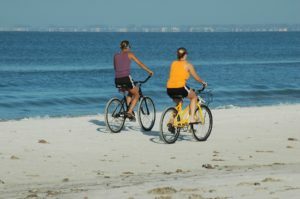 Our itineraries include sightseeing, hiking, cycling, culture tours & new for 2019, yoga holidays. At Bespoke Turkey you can be assured of a great holiday, because of our local knowledge & experience. We will provide you with a professional and personal service which we hope will exceed your expectations. As a result, every guest is important to us and many come back again. We want you to experience traditional Turkish Hospitality. For example, we use small, boutique hotels & family-run guesthouses. All of which we have used personally. Each year we run some group holidays. If you would like to bring or be part of a group holiday then get in touch. Our contact details are below. In 2014 we built our own guesthouse, ‘Meyveli Ev’, ‘house of fruit’, in South West Turkey. Now you can click on the link to see more. Most importantly we love Turkey. Therefore we hope to be able to show you what a wonderful country it is to explore. We love Turkey and believe you will too! At Bespoke Turkey we provide some wonderful and unique itineraries to help get the most from your holiday. We have a free PDF brochure to give you some ideas, available on request. If you still cannot find what you are looking for then get in touch using our link here for contact form or email and we will arrange your own itinerary, just for you. Lycian Way, great 10 day trek – wonderful hiking holiday, great food, hospitality, well organised, lots of fascinating sites, we’ll be back! Bespoke Turkey organised a great sightseeing holiday for us. We loved Turkey and the hospitality shown when we visited Istanbul, Cappadocia and Pammukale. Excellent service by any standards! We stayed at Ashley & Ayse’s guesthouse, had a great holiday and a great time, their local knowledge was invaluable to us. What a holiday! One of the best we have ever had. Everything worked like clockwork and Aysegul planned the whole route to accommodate our concerns as to whether our 11 y old granddaughter could manage it. She did and loved it. It was all unforgettable. Aysegul planned trip from Istanbul to Oludeniz. The hotels were well selected, the transfers and trips were excellent. We were not sure what to expect at first but after a very warm welcome at the beginning, we were constantly impressed by the people and all the sites, great organisation and we will be back! A wonderful honeymoon in Turkey! you have planned an unforgettable holiday for us, thank you. We had lovely holiday with you. Thanks for everything. Bespoke Turkey - Copyright © 2015 All Right Reserved.